It was nice to have a less frustrating food day with Lucy yesterday and today. It seems that every couple weeks she goes through these stages where when she once loved cherry tomatoes, this week she wont touch them! I try my best not to show my frustration around her cause I don’t want her to feel like Im disappointed that she wont eat certain foods. Iv started showing her all the things that will be going in to her lunch while im making it, and have at times given her a plastic bowl and a wooden spoon sometimes with a sprinkle of flour in the bowl and tell her she can help me cook J She loves it so much and I think it’s a wonderful sensory activity she can do while im preparing food and have to concentrate on a little more than just her at the time. Im looking forward to when shes a little older and can really help me in the kitchen. One of my top priorities as her mom is to help her develop in mind, body and spirit and nutrition and healthy eating plays a huge roll in that for us. There have been times Iv been made to feel like im obsessive or “mean” for limiting or all together restricting certain foods from her diet (mainly meat, cows milk, and corn syrup or excessive sugary foods) because I don’t believe in their nutritional values, but then I look at how happy and healthy she is and all those things go out the window. I think that every mom has the obligation to do what they feel is right for their own children and to each their own. Recently, in regards to Lucy’s spontaneous picky-ness I have been making her different kinds of shakes and drinks. Today she had a shake with coconut milk (original) ½ a banana, 2 medium sized strawberries, plain yogurt, ½ a tsp of vegetarian brown rice protein powder and a tsp of live acidophilus culture. 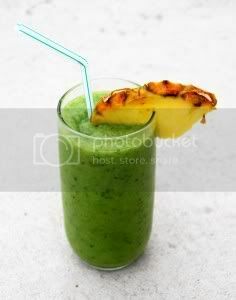 I also make veggie drinks that she adores with fresh baby spinach, mango, flaxseed oil, (or sometimes cod liver oil) and a little apple, orange, or pineapple juice. Today she had a full cup of freshly made carrot juice with about 2tbs of apple juice in it! Iv been giving her just one or the other of these once a day and its amazing not only at how much she loves them, but I feel really great about all they have in them, working their way into her little body, functioning to help her be wholly nourished. Im an avid researcher when it comes to nutrition and am in love with sites out there like Weelicious, Chef Ann, and Holistic Moms. These are some links to some nutritional information I also follow when considering Lucy’s food! Whole grain breads, oatmeal, and seeds. (pumpkin and sunflower seeds) as well as homemade almond and walnut butters. Brown rice (good source of fatty acids, fiber and vitamin B complex) I also supplement her milk with vegetarian brown rice protein. If anyone has the same passion for their kids nutrition and has any other information Id love to hear your ideas and research!